HOURS: fri-mon 11-4; tue-thu by appt. Polaris Gallery in Manzanita, Oregon showcases the paintings of artist/owner J. Scott Wilson. 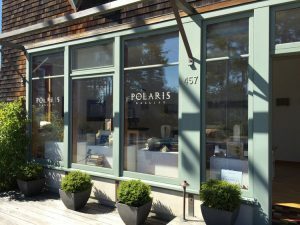 Polaris Gallery was named Polaris after the North Star, a guiding star adjacent the Big Dipper clearly evident in the Oregon Coast evening skies. Polaris illuminates a blanket of celestial art above our northern Oregon coast community.